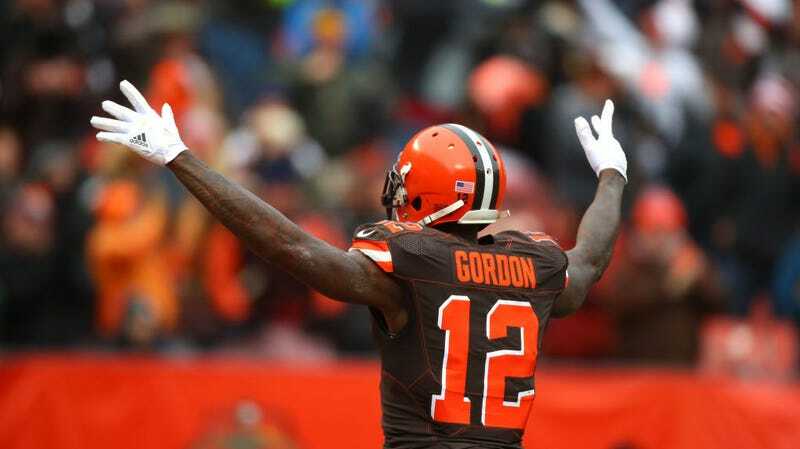 Gordon has not yet explained the specific reasons for his absence from training camp, but Adam Schefter reported that Gordon “was seeking additional counseling to deal with his mental health and anxiety” during the three-plus weeks he’s been out. Fellow and former Browns receivers have done their part to fill in the news gap during Gordon’s absence: Jarvis Landry has been chewing out the position group and starting fights with defensive backs; rookie Antonio Calloway was cited for marijuana possession and punished with extra preseason reps; third year receiver Corey Coleman had the good sense to engineer his way out of town. Only the Browns could view the return of a receiver who’s been suspended five times for substance abuse and needed a mental health break before the start of training camp as an infusion of stability.